Ammy Virk’s upcoming Punjabi movie Harjeeta has released Kinna Pyaar song by Mannat Noor. 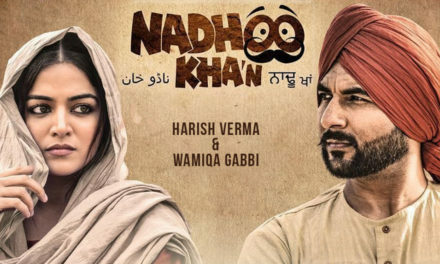 This is the first song from the Punjabi Movie Harjeeta, which is sung by Mannat Noor. Earlier this month, the official trailer of the film has been launched and it truly stunned everyone. The trailer of the film delivers the glimpse of Harjeet Singh’s life, both personal and professional. This movie is a biopic of an Indian Hockey player named Harjeet Singh Tuli, who was the captain of Men’s Hockey Junior World Cup team 2016. It depicts the childhood phase of Harjeet, including his journey from an ordinary kid to an amazing hockey player. The movie is directed by Vijay Kumar Arora and all set to hit theatres worldwide on 18 May 2018. Ammy Virk starrer Punjabi Movie Harjeeta has come up with its first song Kinna Pyaar by Mannat Noor. The new song Kinna Pyaar has been released on YouTube and it is such an amazing song featuring Ammy Virk and Sawan Rupowali. This is a romantic song depicting the one-sided love of Sawan Rupowali for Ammy Virk and how dedicatedly she cares for him. 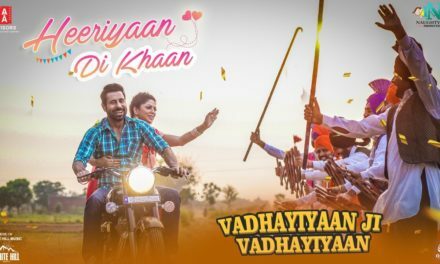 This new song Kinna Pyaar is the first song of the film and already doing rounds on the internet. The maker of the film had released Harjeeta’s official trailer earlier this month and it was quite promising. 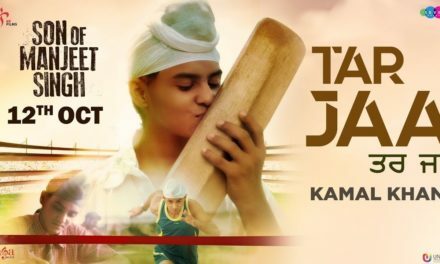 The movie is based on the inspiring life of a hockey player Harjeet Singh Tuli and Ammy Virk will be playing his role in the film. The hard work of the actor is really commendable, who undergone a major transformation to fulfill the requirement of the film. We really hope that his hard work gets paid off and wish the entire team of Harjeeta a great success. Till then, enjoy this Kinna Pyaar song from the movie. For listening to the Kinna Pyaar song, click the play button on below video and enjoy this mesmerizing track. For more updates on Punjabi movie Harjeeta, stay tuned to Att Manoranjan.